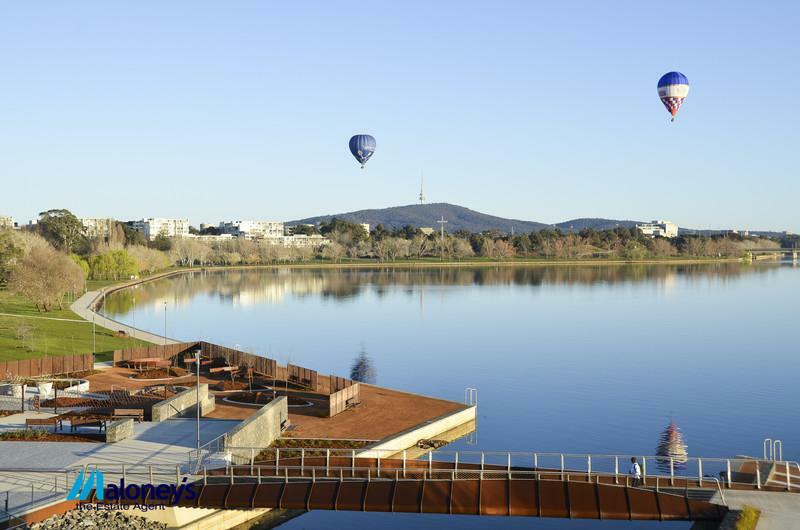 ‘Lakefront’ on Kingston Island offers exclusive apartments on the shoreline of Canberra's premier waterfront precinct with nearby parks and national buildings including the National Gallery of Australia. 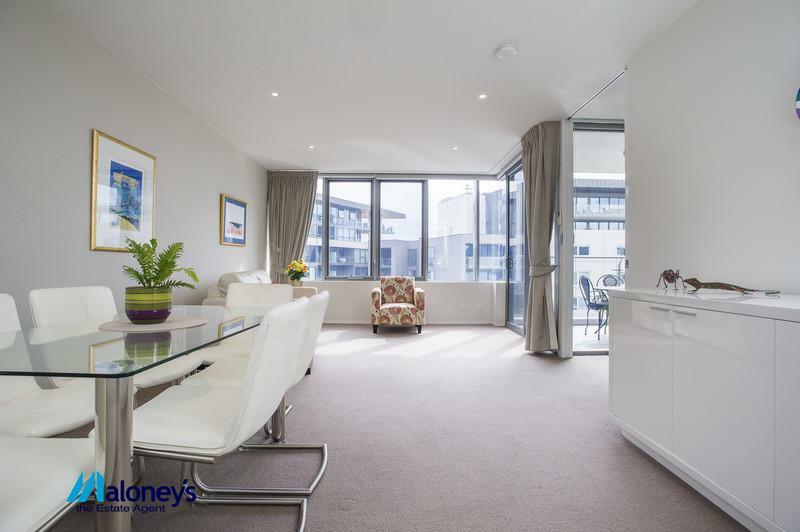 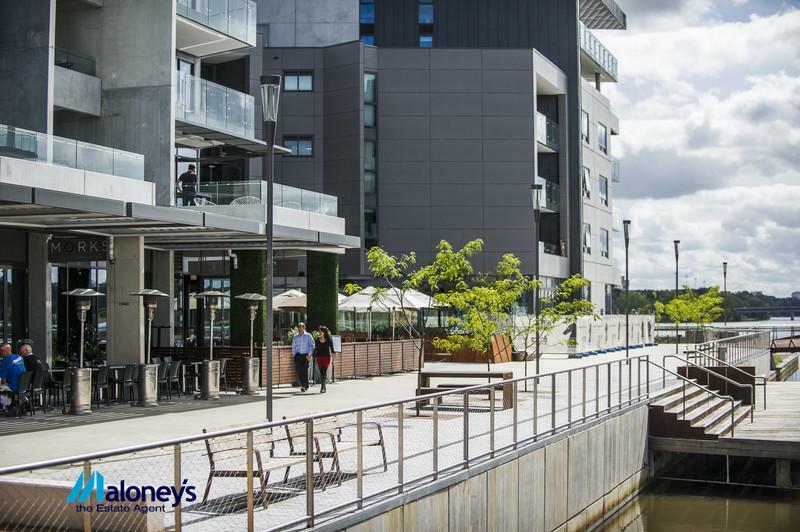 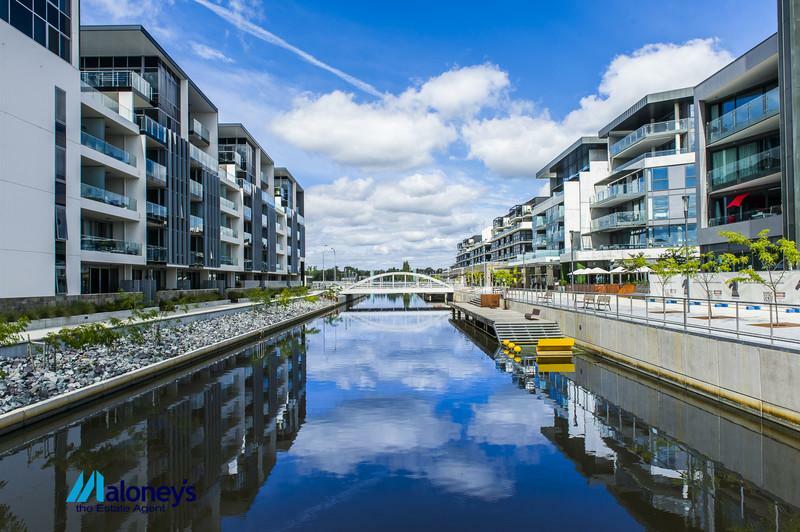 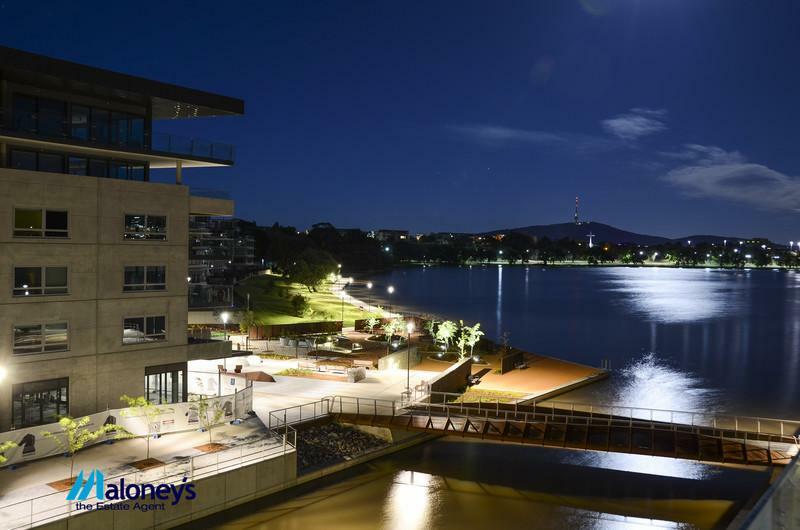 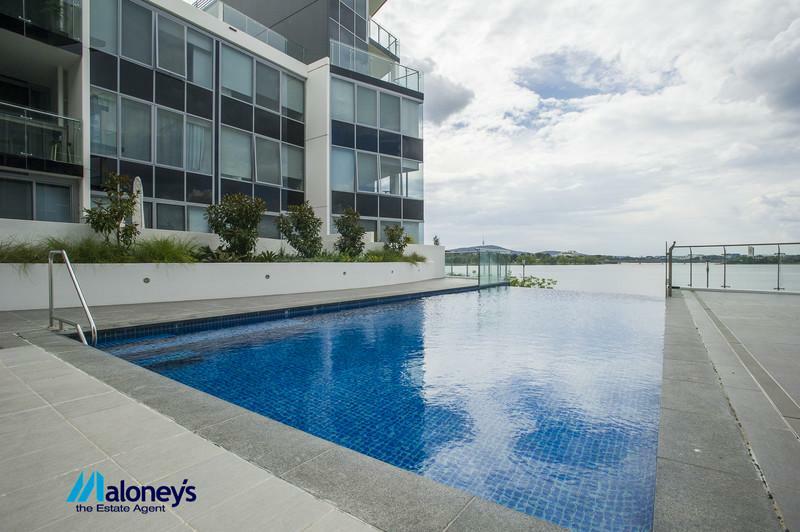 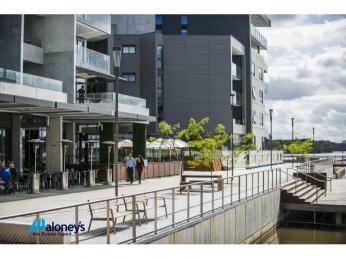 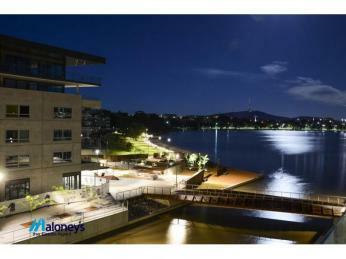 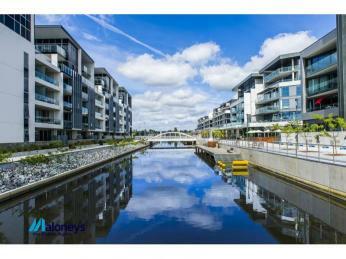 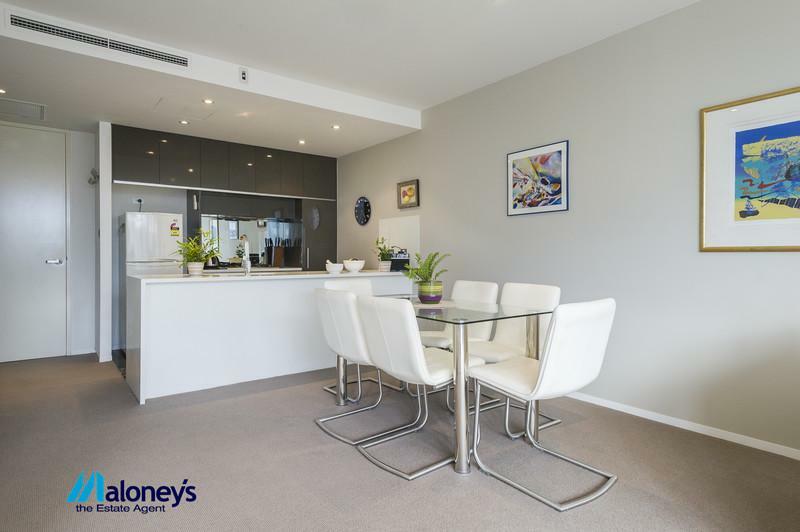 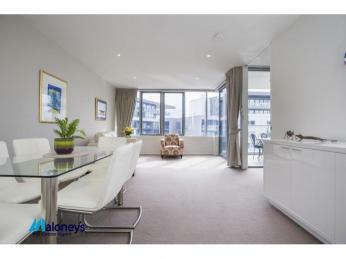 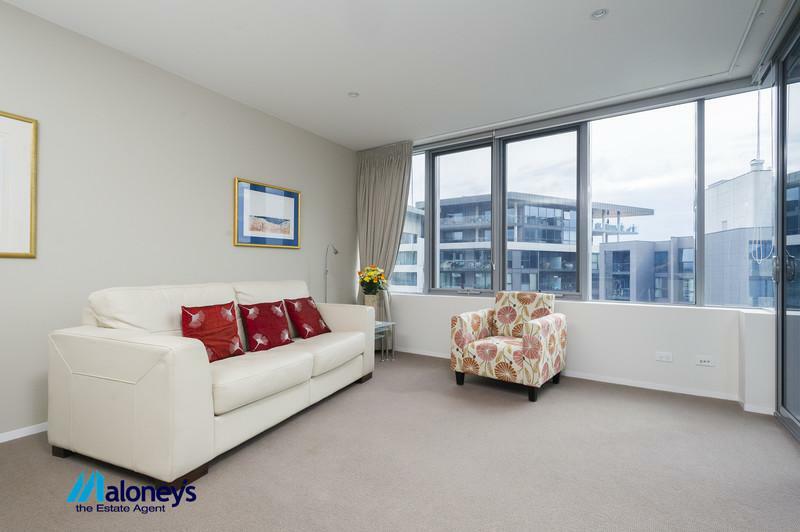 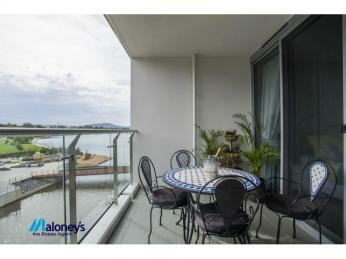 Situated to the north of the new Kingston foreshore harbour, this apartment has water views of the canal,the East Basin of Lake Burley Griffin and Black Mountain Tower. 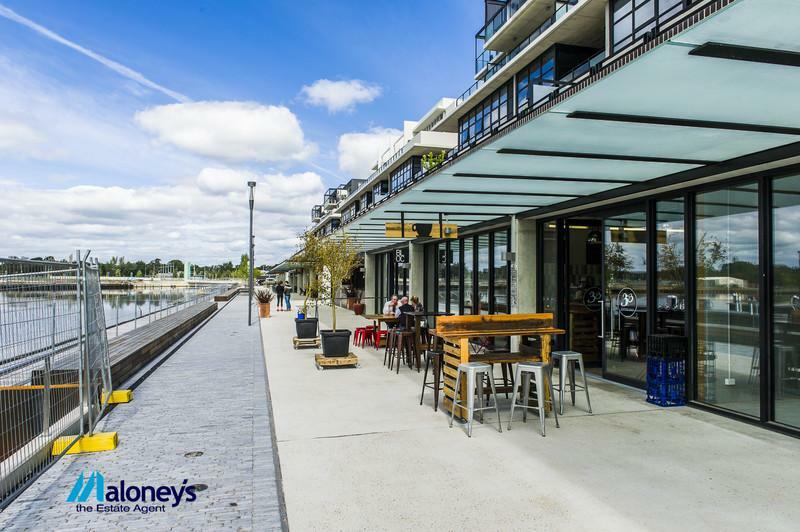 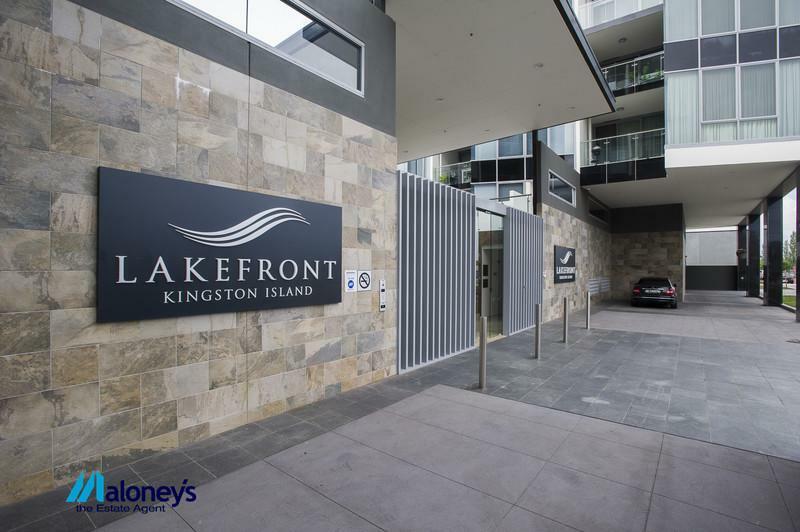 With restaurants at your doorstep, Lakefront is only minutes to the Parliamentary zone, airport, railway station, Kingston retail centre, Manuka retail and movie theatre, and the City Centre. 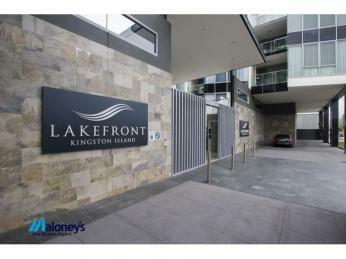 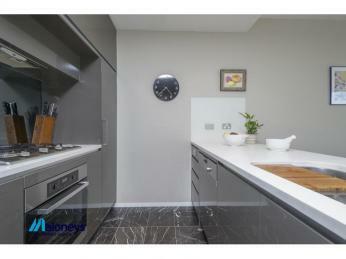 It is close to numerous entertainment centres. 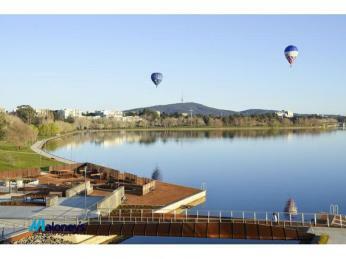 public transport and employment hubs. 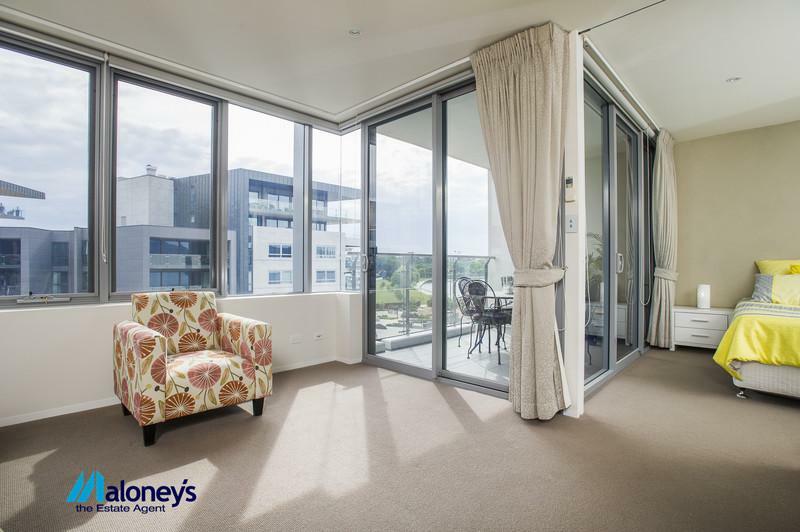 Located on level 4, Unit 64 offers a tranquil water outlook from the covered balcony and glass-walled living area with large glazed sliding doors. 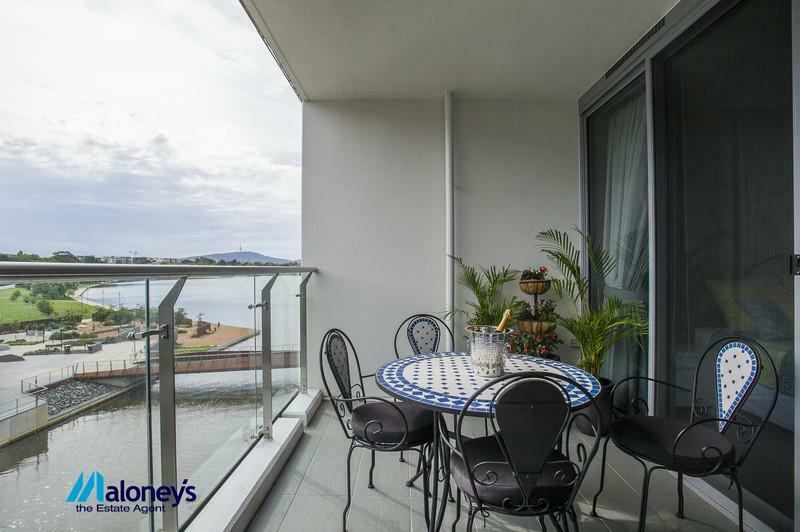 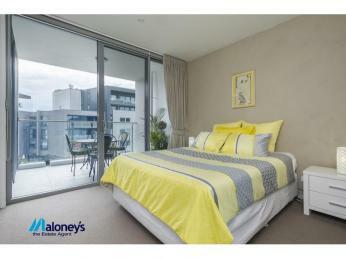 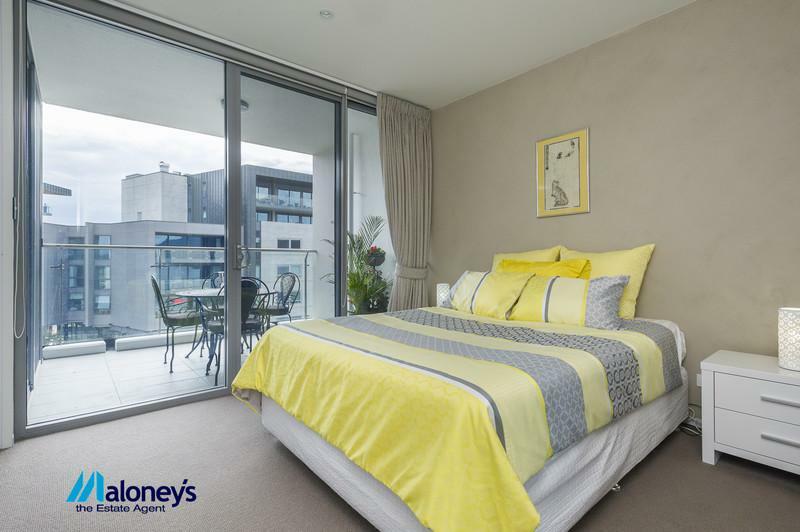 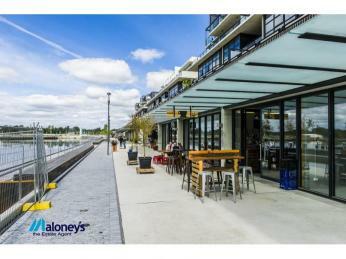 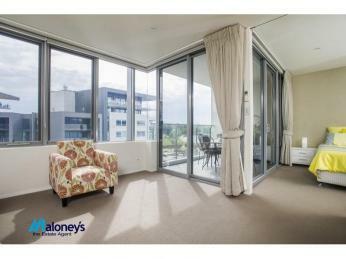 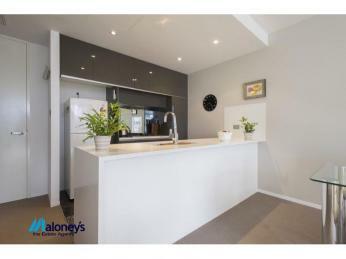 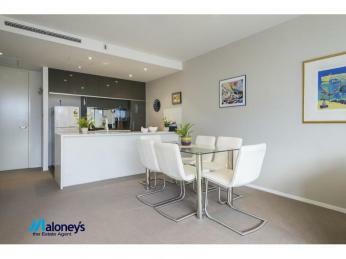 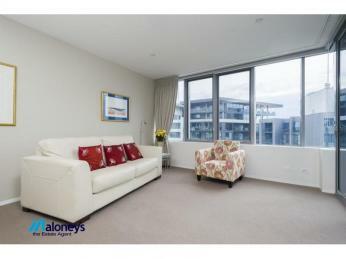 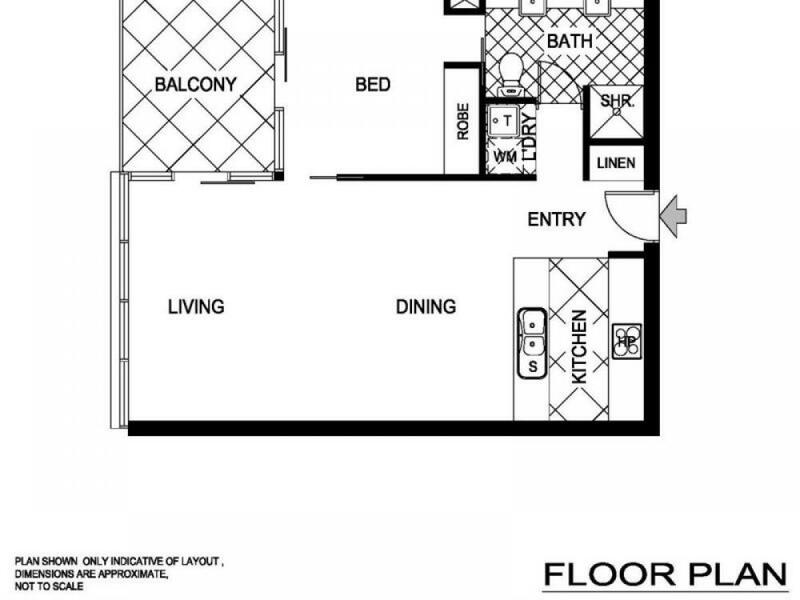 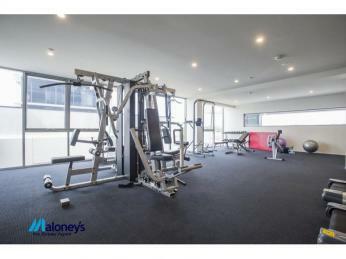 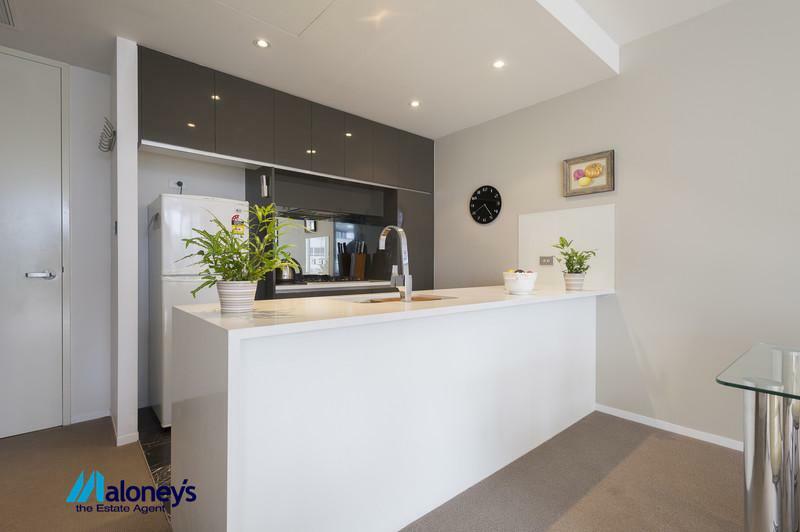 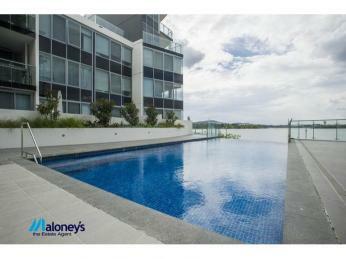 This 61m2 one bedroom unit has a floor plan which the architect has designed to make the most out of its aspect towards Lake Burley Griffin. 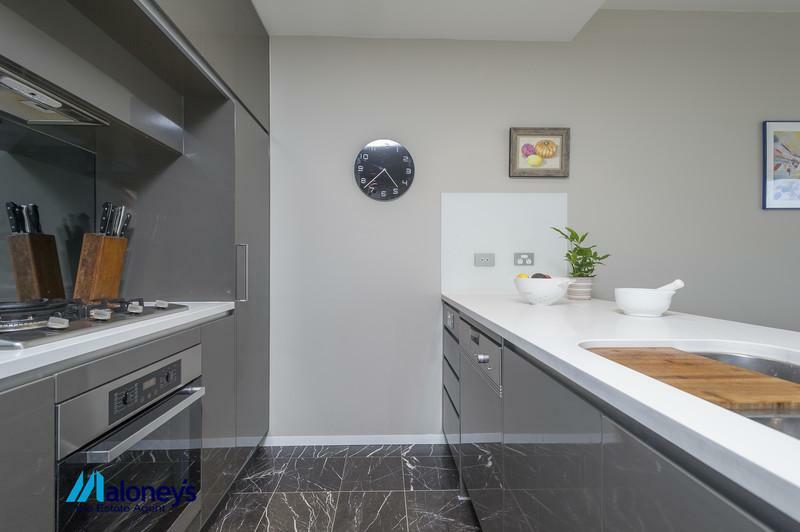 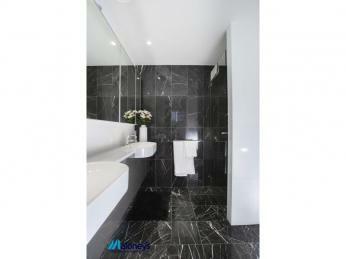 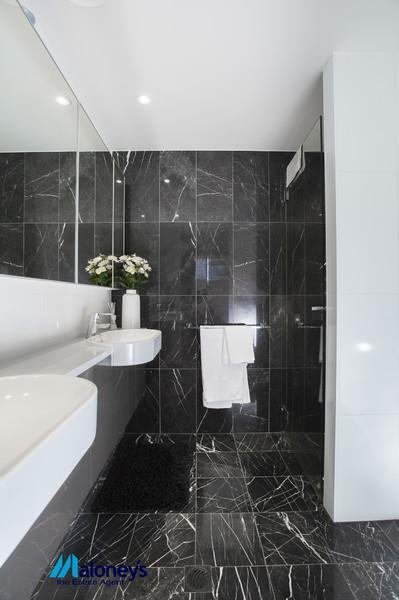 Fixtures and fittings throughout the apartment are high quality with the ensuite bathroom featuring a luxurious stone top double vanity and stunning floor to ceiling marble tiles. 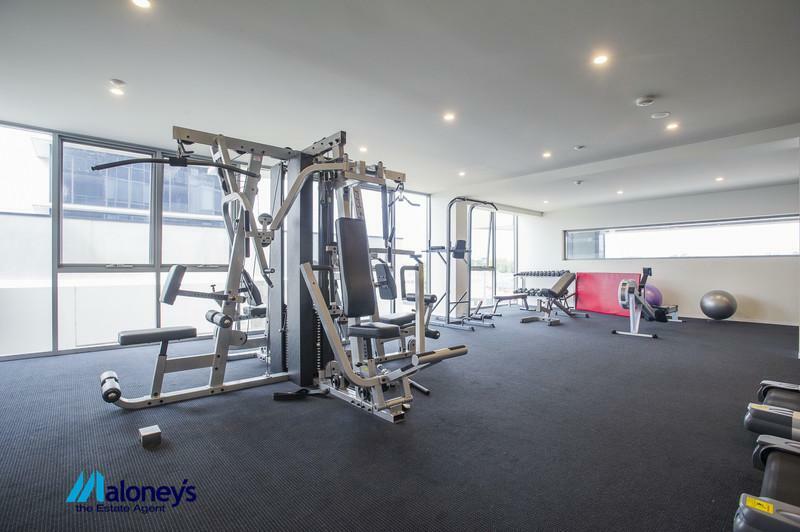 Residents enjoy luxury resort-style living, including a fully equipped gym and a landscaped courtyard leading to an infinity pool for their exclusive use.